Board member Michael Goldman suggested a fare increase of 3 to 4 percent be considered; the board's chairman swiftly promised to block any such plan. 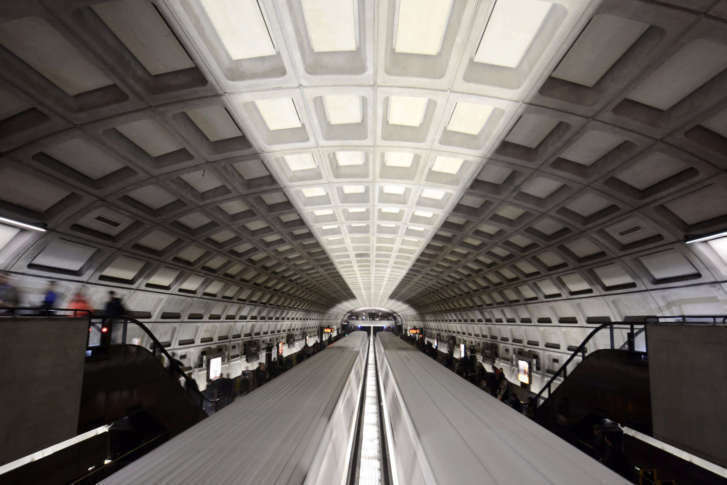 WASHINGTON — Metro should raise fares next year, a Maryland Metro Board member said Thursday. Board member Michael Goldman suggested a fare increase of 3 to 4 percent be considered. “If you’re getting a better quality product, you should be willing to pay a little more. People go to Whole Foods, and for organic tomatoes they’re willing to pay a little more than Jersey tomatoes,” Goldman said. D.C. Councilmember and Metro Board Chair Jack Evans swiftly promised to block any such plan, which would be meant to limit some of the increase in tax dollars called for in the budget that begins July 1, 2019. In the past, Metro has raised fares every two years, but no fare increase was included in this budget proposal as Metro tries to reverse years of ridership declines. “Riders are getting better service; they’re going to get more frequent trains [at some stations or times of day]; they’re going to get trains with eight cars in it; they’re going to get longer hours of rush hour which means more trains — maybe ridership’s willing to pay a little more for that improved quality of service,” Goldman said. None of the budget proposals are certain at this point, and other board members asked for more analysis of how those proposals were selected and what the costs and benefits may be. “There’s no way that I am supporting and the District of Columbia is supporting a fare increase; it’s just not going to happen,” Evans said. “I don’t even agree with the Whole Foods thing. I don’t have to go to Whole Foods. Yeah, they charge more, but I go to Safeway because I don’t want to pay more. There is no alternative to Metro. They’re not going to ride the cheaper Metro thing,” Evans added. Evans said he does support all of the service increase plans, as well as an idea to cut weekend rail fares to $2 as disruptive track work continues indefinitely. Adding service back after cuts a few years ago is the next key step for the system, Evans and General Manager Paul Wiedefeld said. “It’s a measured response in the scheme of things, but it’s starting the transition from where we’ve been … to start to grow this system to what we want it to be,” Wiedefeld said. He believes the proposals he presented Thursday are things Metro can actually accomplish now. “There’s no way around this. If you want this system to be the first-class system that we want it to be, you’ve got to pay for it, and it’s going to cost a lot of money,” Evans said. He charged that the region is “ducking” the opportunity to add ridership over cost concerns. “That foolishness has to stop,” Evans said. With a fare increase and parking fees, Evans said, Metro starts to no longer make sense for people coming in from far-out suburbs. “My god, it’s easier to just drive downtown and park your car in a parking lot, and we shouldn’t be in that situation,” Evans said. While Evans would like to see Metro simply add service, Maryland and Virginia each implemented a 3 percent annual cap on operating subsidy increases from taxpayers as part of new dedicated capital funding earlier this year. Those caps include a number of exceptions, so within those laws and with only $20 million earmarked for specific improvements to existing service, the budget proposal would see Maryland’s contributions rise 16 percent compared to the budget approved last March on top of new dedicated funding requirements, Goldman said. D.C. and Virginia would see increases of much more than 3 percent too. “It’s big bucks and if that money is actually paid, what it’s going to do is squeeze out other transportation projects,” Goldman said. Virginia leaders are also concerned about costs, especially since local governments bear the burden out of the same funds that otherwise provide for other local needs. Arlington Board Member Christian Dorsey asked for a breakdown of the proposed service changes to make a case for choosing those over other options. Metro must be affordable for both riders and jurisdictions, Dorsey said, while addressing major issues like plummeting bus ridership. “This is going to be a really tough budget for this board to work through,” Dorsey said. Final approval is expected in March after months of discussions. Public comment is expected in late January or early February.